Our extended Margolis Method Community includes an incredible group of teaching artists who are creating work and inspiring others around the country and abroad. We are lucky to be connected to such a great cohort and continue to collaborate with these artists on many fronts. As a Theatre Artist, Ian Bivins is devoted to transforming the mainstream approach to theatre education as well as bringing new creative ideas to one of humanity's oldest rituals. Ian received a BA in Theatre Arts from Western Washington University in 2002, where he created and produced several solo works. He relocated to Highland Lake, NY in 2004 to pursue his certification in Margolis Method. He has performed in several of the company’s original evening length shows; most notably, Cyclopedia, which toured nationally in Fall, 2008. Ian has assisted Kari at several major national and international workshops including the Kennedy Center's American College Theatre Festival and the Cos Festival in Reus Spain. He currently serves on faculty for the Margolis Method Center’s International Summer Training Intensive. Ian also teaches and oversees operations of Margolis Method Bellingham, a satellite school of the Center, located in Bellingham, WA. Kate performs and devises original works using objects and physical performance. Her company, imnotlost, produces performances in New York City since 2003. Kate trains adults and r trained the puppeteers for the 2010 National Tour of Beauty and the Beast. She has taught workshops in New York City, Gertrude Stein Repertory Co. and Stone Soup Theater Arts. In Europe she has taught at the Central School of Speech and Drama, Royal Holloway University, Media Lab Europe, and Ovalhouse Theatre. Her popular series of videos, ‘Puppeteering Through Movement’ is available online. In addition to being the Executive and a Co-Artistic Director of Minneapolis-based Combustible Company, Erik has also performed in their productions of The Imaginary Invalid, Bluebeard's Dollhouse, and Herocycle. He has appeared in other devised works such as The Mad Trapper of Rat River by Sandbox Theatre, The Oldest Story in the World by Theatre Novi Most, and the Veterans' Play Project with Wonderlust Productions. Erik has performed in scripted works ranging from classical to contemporary with companies such as Walking Shadow, Park Square Theatre, and the History Theater among others. His performances have been recognized by Minnesota Playlist Magazine, Lavender Magazine and the City Pages in their respective annual best of lists and he was part of the cast of Walking Shadow’s Production of The Compleat Female Stage Beauty that won an Ivey Award in 2012 for Overall Excellence. Erik made his directorial debut in 2015 with Theatre Pro Rata’s production of The Woodsman, which was named one of the top ten shows of 2015 by the City Pages. Erik was a member of Margolis-Brown ADAPTORS from 2000-2005 and is a certified Margolis Method instructor. While Kym’s three decades of performing and directing experience range from classical speaking theater to experimental theater, her passion is creating highly physical theatrical work through collaborative process. As a featured performer with Margolis Brown ADAPTORS Company from 1994 - 2006, Kym participated in the development of The Bed Experiment, The Human Show, Vanishing Point, Vidpires!, and Starry Messenger. She is currently active in the Twin Cities' vibrant theatre community - acting, directing and developing new work. Recent directing projects include She Myth (Big Wingz Productions), It is She Who I See (Interference Arts), and Herocycle (FTF Works), for which she received a 2012 Minnesota State Arts Board Artist Initiative Grant. Upcoming projects include Maggie's Brain (Offleash Area) and Blue/Doll/House/Beard (RedEye's Works-in-Progress). Kym is affiliate faculty at the University of Minnesota, where she has taught Margolis Method since 2001. Jennifer is an accomplished musical producer, performer, teacher, singing coach and choreographer. Her recent studies include spending several summers in New York City completing her professor’s certification in the Margolis Method for Acting. Her continued studies in this methodology infuse her vocal performance studio with techniques and tools for helping musicians and performers to connect viscerally with their music, lyrics and performance. Jennifer’s accomplishments run deep as a producer, director, studio session singer and choreographer. Some of her more recent productions include The Sound of Music (Musical Director/Choreographer) at Robert Redford’s renowned Sundance Summer Theater; Inside the Outside (Music Producer) with Grammy award winning saxophonist, Jeff Coffin of the Dave Mathews Band (partially recorded on her musical tour to Cuba,) Don’t Look Down (Music Producer); the award-winning independent film Masque (Music Production); and various projects with BYU Broadcasting (Music Producer). Jennifer’s recognition for such work includes multiple Downbeat Music Awards and several Utah Best of State awards for her work with Caleb Chapman’s Crescent Super Band. She recently participated in the Essentially Ellington competition at Jazz at the Lincoln Center where her long time student, Isabella Johnson, was awarded outstanding vocalists. Aside from her many lauded achievements, Jennifer has never lost sight of the passion rooted in all of her life’s work – performing what she loves for the people she loves. She’s had the privilege of doing so with the Spokane Jazz Orchestra, the Timpanogos Symphony Orchestra, Salt Lake Choral Artist, the Utah Valley Symphony, and on numerous albums including work with Kenneth Cope. Recently, Jennifer completed a lifelong goal of performing at Jazz at Lincoln Center in New York City where she sang at the famous Dizzy’s Jazz Club to the delight of fans, friends, and family. 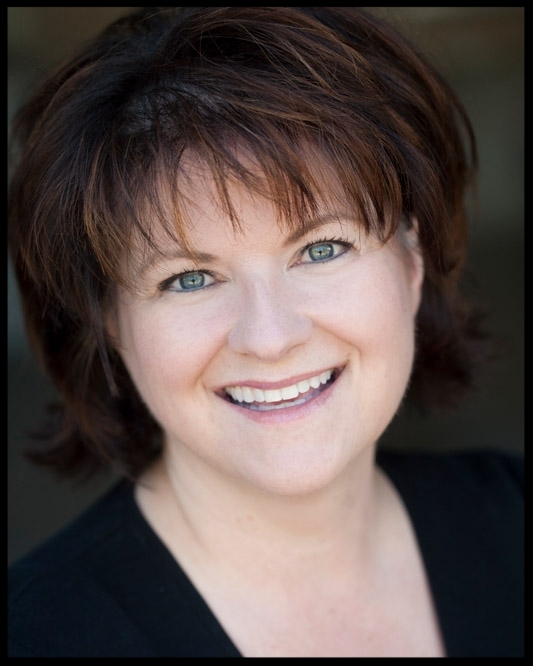 Jennifer is a sought after clinician and presents vocal and performance workshops all over the world. This January, Jennifer will be co-presenting a clinic at the Jazz Education Network Conference in New Orleans with Cherly Bentyne of Manhattan Transfer fame.